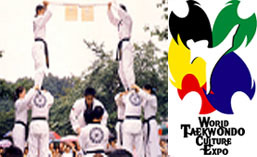 The World Taekwondo Culture Expo is planning to have a Taekwondo Park successfully completed in 2013. There will be a variety of exciting events including a Taekwondo expo tournament, an extreme Taekwondo performance, and even additional programs and events aside from Taekwondo where attendees will get to experience the Jeolla-do culture. There will be a variety of programs and events that attendees will get to experience including the opening ceremony, closing ceremony, and the main event. The main event will feature a combination of high-energy extreme Taekwondo martial art skills and mental strength, a Taekwondo musical ‘Sinhwa’ (The Myth), and a Taekwondo Open Tournament. A unique characteristic of the Expo Open Tournament is that one will have the opportunity to meet friends from all over the world by competing in contests that involve physical conditioning and hard training. The tournament will include a variety of events including informal sparring, basic ‘pumsae’ (forms), and advanced ‘pumsae’. Aside from the main event, attendees will be able to experience making Korean food such as a large sized Jeonju Bibimbab for 1,000 people, and rice cakes for the enjoyment of the spectators. If Taekwondo has always been difficult to become accustomed to, the Taekwondo inspired performance, ‘Sinhwa’ (The Myth), would be a great show to watch. The story is about five members from the Taegeuk Gang of the former Taekwondo Park that revives a death-defying gang with a Taekwon spirit. The extreme Taekwondo performance put on by the Taekwondo Exhibition Team would be a great introduction to Korean martial arts.